Dimensions: 48 x 32 x 24"
Size: 48 x 32 x 24"
22.5 x 22.5 x 24"
30 x 22.5 x 24"
45 x 22.5 x 24"
48 x 32 x 24"
Store, transport, and protect your gear in the black AC-TP2 ATA Truck Pack Trunk Case with Casters from Pro Cases. 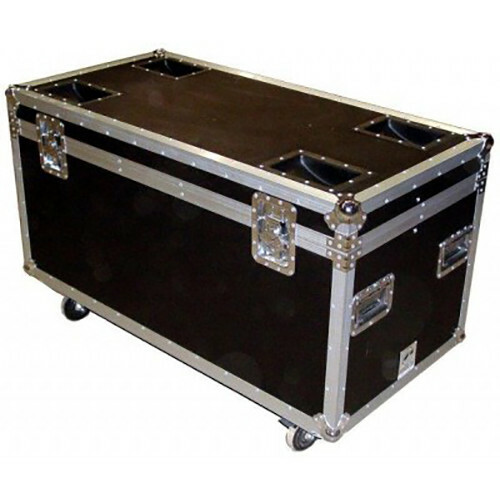 The case measures 48 x 32 x 24", and features recessed hardware, a carpet-lined interior, and 1/2" plywood A.T.A. construction. Heavy-duty 4" casters make moving the case easy.